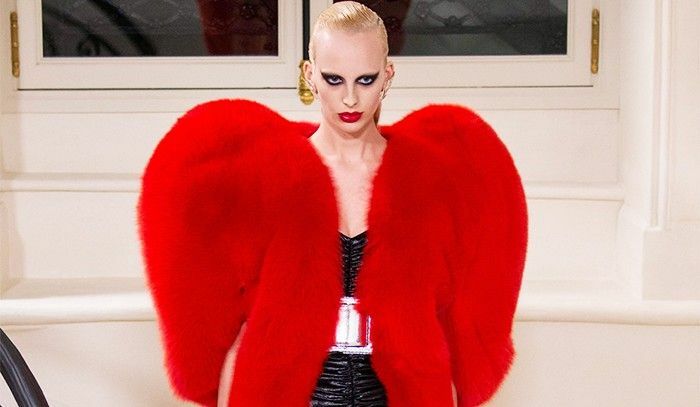 Hedi Slimane's final collection (A/W 16) for Saint Laurent. 2. Yet another Vetements must-have showed itself: But this £185 T-shirt has caused no end of debate. 3. Byrdie's editorial director talked us into stocking up on grey lipstick. Yes, really. 4. We enjoyed a trip down memory lane; arm-in-arm with Victoria Beckham via her most hilarious moments on social media. 5. Beyoncé revealed a glimpse of her debut collection from athleisure brand, Ivy Park. It will make you book in a boxing class ASAP. 6. Our columnist and resident Victoria's Secrets girl (well, someone has to be, right?) spilled on the coolest things you can do with your existing denim collection. 7. Kendall Jenner revealed her beauty tips—suffice to say, we're hooked already.